For more information about IFAPAC, please contact Hyatt Erstad, State Government Relations Chair, at hyatt@erstadandcompany.com. Our system of representative government is designed to enable each and every one of us to provide our input to the key elected officials on issues that concern us. NAIFA's Advisors Political Involvement Committee (APIC) puts to good use our country's founding fathers' plan of "we the people, by the people." APIC harnesses the power of NAIFA's agents and advisors and channels it where it can have the greatest legislative impact. APIC oversees a database of thousands of insurance agents who have volunteered to be part of NAIFA's nationally-recognized legislative action team. 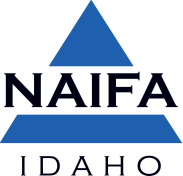 When federal legislation hits a crucial point in the legislative process on Capitol Hill, NAIFA activates its contact system. Agents and advisors all around the country communicate NAIFA's message on Capitol Hill about issues that affect their livelihoods. This contact takes place in the form of letters, faxes, phone calls and face-to-face meetings in the congressional districts and in Washington, D.C. In short, you DO have the means to protect your livelihood from unwarranted changes. All it takes is your involvement and participation. As stated clearly in the quote by Senator Thad Cochran, if you don't help shape legislation by providing your input and expertise to your elected officials, you can be sure that someone else will. Your involvement in APIC at NAIFA assures that elected officials will hear your views on critical issues. By joining APIC, you will be on the legislative front line. For more information about APIC, please contact EmmaLee Robinson, State APIC Chair, at emmalee.robinson.eu22@statefarm.com.